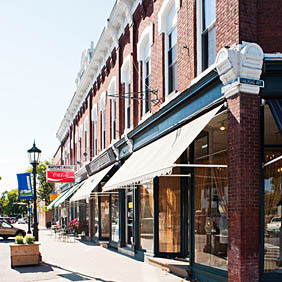 Our offices are located in the historic Brownell Block on Main Street, Essex Junction. We are easily accessible by highway, and are a short drive from Burlington, Vermont's largest city. The greater Burlington area is home to more than a quarter of Vermont's population, as well as several of the state's largest employers. The region is easily accessible via air, rail, car and ferry. It offers college-town sophistication without losing the rural beauty that Vermont is known for. The area is home to many seasonal festivals, events and attractions. Burlington and the Lake Champlain region are repeatedly recognized as among the best in the country for living, working and visiting.